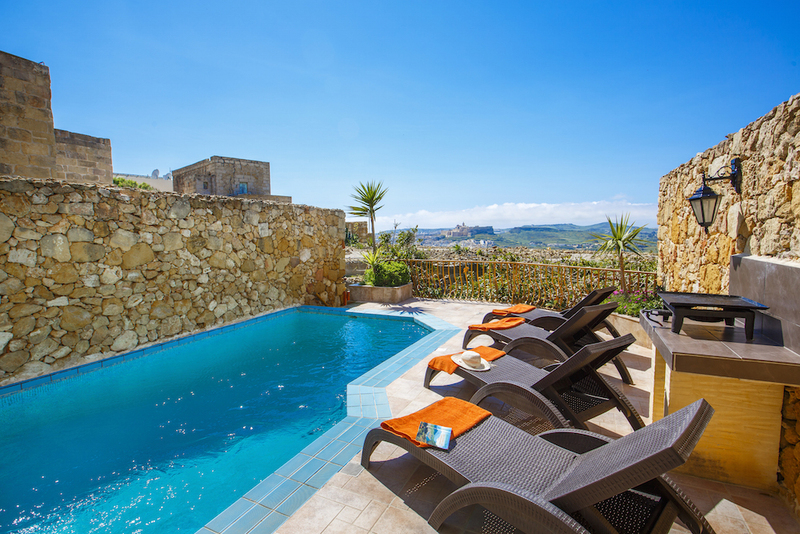 Rent your farmhouse with private pool in Gozo Bellavista Farmhouses Gozo. 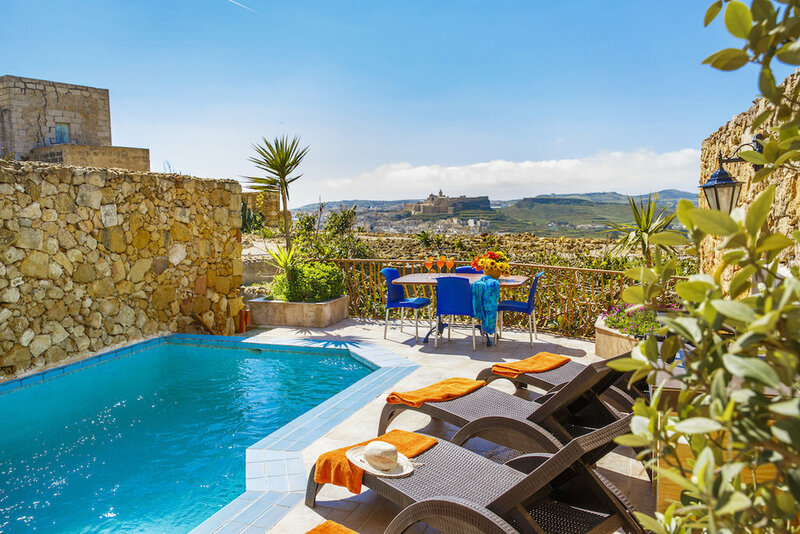 Ta' Andrea is a rustic farmhouse in Xaghra village Gozo. Entrance to this charming farmhouse is through a small patio and a formal living area. A few steps lead you to the large combined sitting / dining area and the fully equipped kitchen. 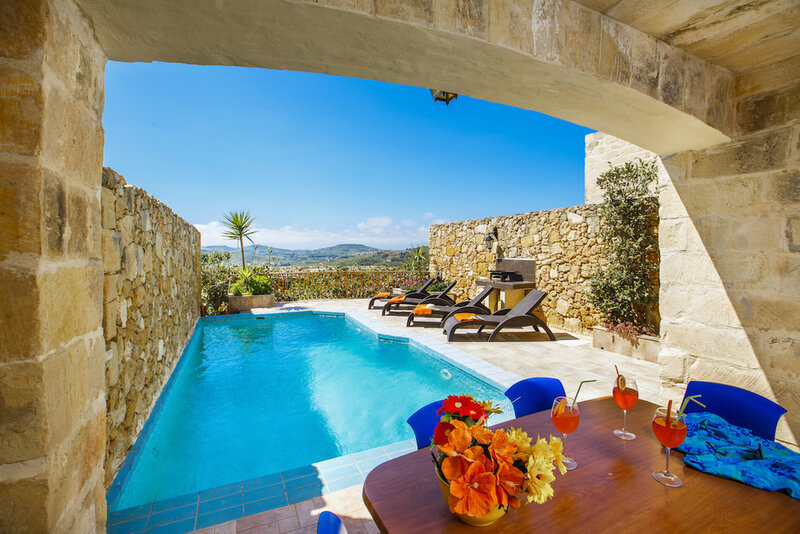 They all open onto the private pool and the outstanding views outside. 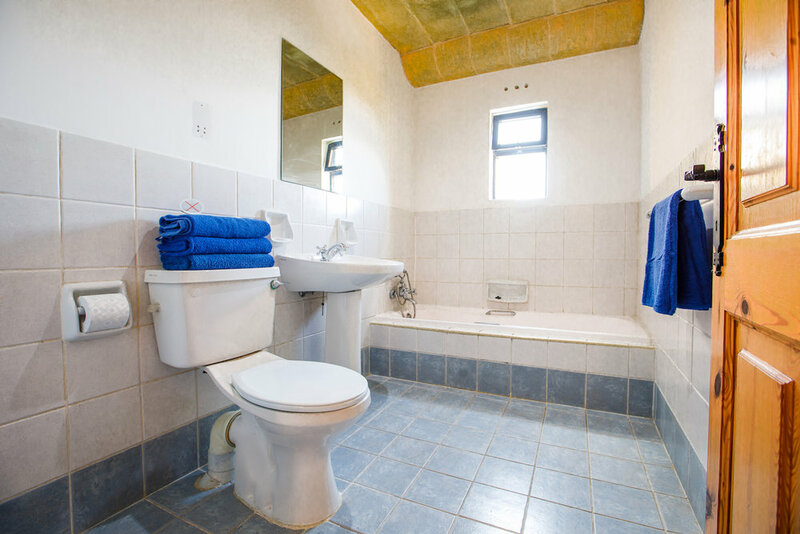 A utility room and a spare toilet are found next to the formal living area. 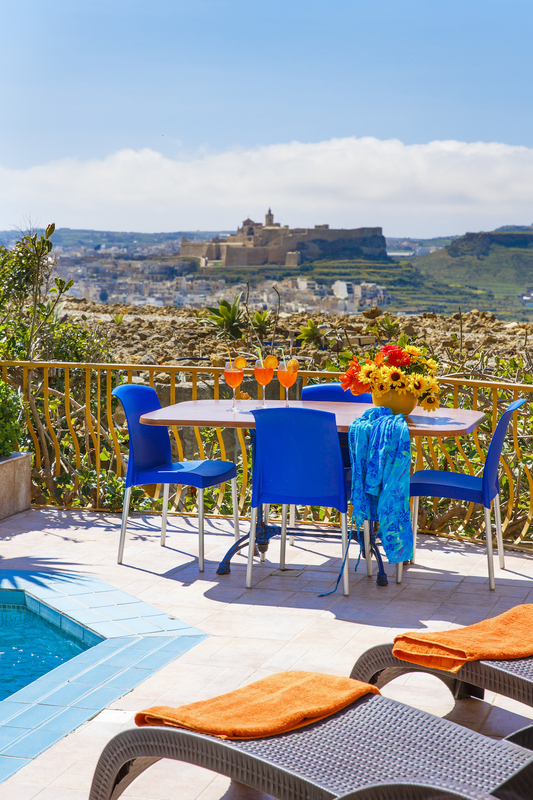 The terrace is complete with a private pool, BBQ (operates with gas - provided), sun loungers, garden furniture and umbrella. A staircase leads up to the 3 bedrooms located at first floor level. 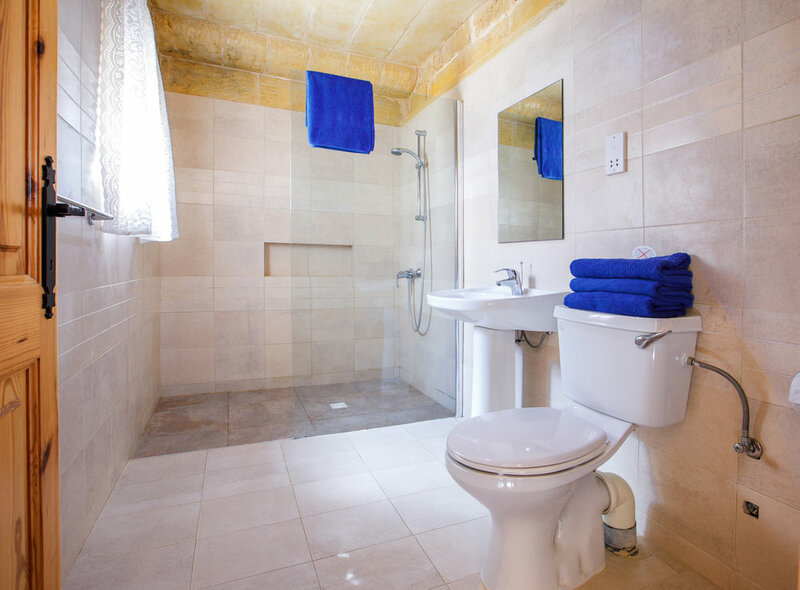 All bedrooms have their own private en-suite shower bathrooms. 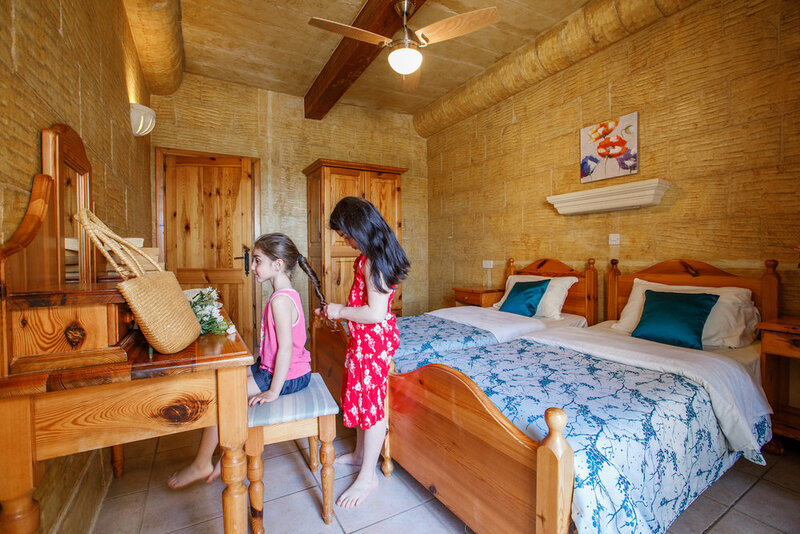 Two of the bedrooms enjoy the outstanding views whilst the other overlook s the street.